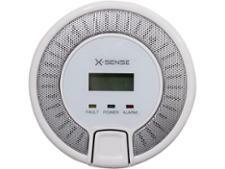 What To Do When A Carbon Monoxide Detector Goes Off - Which? 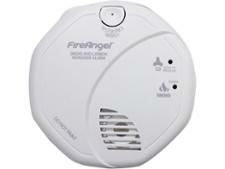 Follow our six-point plan to keep your family safe when your carbon monoxide detector's alarm goes off. Read on for what to do and when your detector sounds. 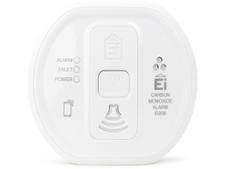 And if you're in the market for a carbon monoxide detector, head to our Best Buy carbon monoxide detector recommendations. The first task is to open all of the doors and windows in the house to try to clear some of the deadly gas. Once you’ve done what you can to ventilate your home, turn off all of your fuel-burning appliances, such as boilers and fires, and leave the house. Regardless of whether you feel ill or well, remain outside until you've spoken to a doctor or called the emergency advice line. Once the alarm has sounded, if there are gas appliances in your home you should avoid switching on the lights, smoking or striking a match (to light a candle for example). If you feel ill or exhibit any of the symptoms of carbon monoxide poisoning after your alarm goes off, contact your doctor immediately or call 999 for an ambulance. If you believe your carbon monoxide emergency was caused by a gas appliance, call the Gas Emergency Service on 0800 111 999. If you use oil to heat your home, call Oftec on 01473 626 298. If your boiler, heater, stove or fire is producing dangerous levels of carbon monoxide, there's something wrong with it, and it will need to be serviced by a professional. Find a Which? Trusted Trader heating engineer in your area.